Registration is open for Spring 2019 Recreational Soccer for boys and girls from pre-k through 6th grade*. You may register online. Registration fees are $65/player if paid prior to March 1, $80 on and after March 1. All registration closes at midnight on April 13 or when teams fill up. Registration is closed for some ages and genders. Purchase your uniform online if you don't already own a uniform. Every player must have a FSC uniform (jersey, socks, shorts) which you purchase from the club or obtain from a former club member. You may also purchase a custom FSC soccer ball for $15, or a FSC car decal for $5. Spring soccer starts in mid to late April and runs through late June. We schedule 10 weeks of games and practices. Please consider volunteering to coach or help out as a general volunteer. Games are typically played on Saturdays prior to Memorial Day and on weeknights after Memorial Day weekend. Practices are usually held in neighborhood parks or fields once per week on weeknights. Players are required to have a soccer ball, shin guards and water bottle. See the article on our website for more information on rec soccer. Questions? Contact Matt Noah at either or 701.866.1949. Check out the Fargo Soccer Club channel on YouTube! * Pre-school players should be born no later than June 30, 2015. Exceptions may be made. In most cases, all fees are non-refundable. The Fargo Soccer Club supports the change from Spring to Fall for High School Girls soccer in North Dakota. Why? (1) The weather in the Spring usually forces compression of the girls season due to postponed games. (2) There is no out-of-state competition in the Spring because Minnesota and South Dakota have high school girls soccer in the Fall. Wouldn't it be fun and productive to play teams other than the 12-14 teams that play in North Dakota? (3) It robs high school girls of their competitive club season from late March to early June. This time can't be made up in the Fall because Minnesota and South Dakota high school girls are playing high school soccer, thus there are no teams to play unless one is willing to drive hundreds and hundreds of miles to play in Kansas or even further. (4) It will enable girls to play high school track & field and golf in the Spring. (5) College recruiting. The tired old arguments of (1) a lack of field space, (2) a lack of referees, and (3) a lack of coaches are not logical. How is it that Minnesota and South Dakota can overcome these straw man arguments. Does Moorhead, Detroit Lakes, Fergus Falls, Crookston and East Grand Forks have more field space, more referees and more coaches??!? No. The Fargo Soccer Club does not support the move to Fall soccer on the basis of discrimination against girls. While the rationale for placing high school girls soccer in the Spring may have been incorrect, it was not a result of deliberate discrimination against girls. 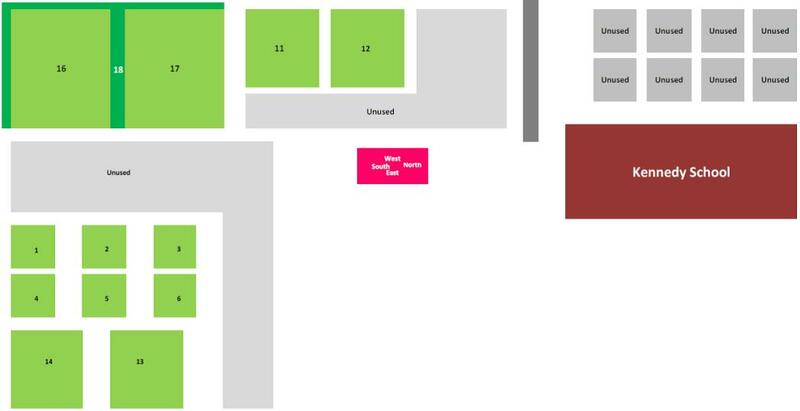 The Fargo Soccer Club is making plans to build a south-side athletic complex with soccer being a priority for scheduling. The plan is a response to the absolute need of such a complex and the lack of initiative by the Fargo Park District and the Fargo School District to address a glaring need in the community. State and local politicians have ignored this topic for decades. Current plans are so far in to the future as to be useless for an entire generation of youth. Most cities the size of Fargo and certainly most metro regions of our size have at least one, if not multiple facilities which include winter indoor facilities. Examples include Sioux Falls and most every suburb of Minneapolis-St. Paul. The benefits to local hotel, restaurants and other businesses is enormous as it could be a tournament hub in both winter and summer. Interested parties should contact Matt Noah at either matt@fargosoccer.org or 701.866.1949. All correspondence will be kept confidential. Those inidividuals and organizations interested in donating land, equipment, services or money are welcome. Those organizations and individuals interested in collaborating to achieve this goal are also welcome. 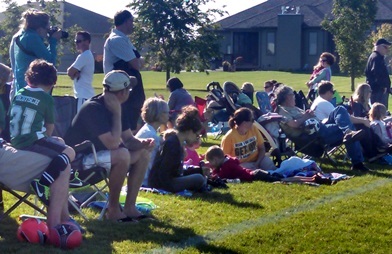 The Fargo Soccer Club offers two levels of soccer; recreational and competitive. Recreational soccer is characterized by local play against teams within our club. Competitive soccer is characterized by regional play against teams from other clubs. 1. Can children from outside Fargo play on FSC teams? Yes. The FSC serves any child in North Dakota or Minnesota. We focus primarily on Cass and Clay counties. 2. What age groups play for the FSC? For recreational soccer, we currently pre-school leagues through 6th grade leagues. 3. When do you play, i.e. what seasons? The FSC recreational leagues play separate seasons in the Spring, Fall and Winter. We separate our registrations for these 3 seasons so parents can choose Spring, Fall, Winter or any combination for their children. Our Fall season runs approximately August 23 through October 10 and consists of 1 practice and 1 game per week for a total of 6 games. Our Spring season runs approximately April 20 through June 20 and consists of 1 practice and 1 game per week for a total of 8-10 games. We also offer winter indoor clinics and leagues. All soccer players are required to have their own shin guards, ball and water bottle. Shin guards range in price from $5 to $50. Balls range in price from $10 to $150. Generally, the lower priced equipment is more than sufficient, especially below the high school level. 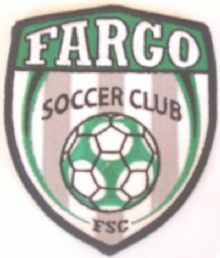 Each player must have a uniform from the Fargo Soccer Club. Recreational uniforms (reversible jersey, socks, shorts) are usually priced at $40/child and can be reused for any season. Registration fees for recreational soccer are typically between $50 and $75 per season. 5. I don't know anything about soccer but I received an email about coaching my child's recreational team. What should I do? Coach! If you have time, i.e. you don't travel extensively for work or you have to work late weeknights or Saturday afternoons, then you should consider coaching. Especially at the pre-school or kindergarten level, soccer coaching is mostly about your attitude and teaching fundamentals. If you can create a fun environment where each player can feel good about themselves, strive to be a good soccer player and have fun, then you are being a good coach. If you motivate by yelling or browbeating, then don't coach. The Club will provide with you training prior to the season. Coaching is very rewarding. 6. Will my child play as much as other kids on the team? For recreational soccer, the answer is yes. Each child should play equally and each child should play every position. Some kids don't want to play goalkeeper and we don't force kids to play goalkeeper. 7. Can I coach my child's team? The FSC believes that parent coaches make the best coaches. We monitor each team for fairness of playing time to address the common compliant that the coach's kid gets more playing time. Frankly, parent coaches who know the rules on playing time are very good at following the rules. Parent coaches are highly motivated to see their child's team succeed. Parent coaches are more reliable than non-parent coaches. Non-parent coaches typically have a much better soccer background and can provide superior skills demonstration and instruction. That is why we try to pair up a parent coach with a younger, non-parent coach on our competitive teams. For our recreational teams, coaching is currently exclusively done by parents. 8. How do the FSC coaches differ from other coaches in the FM area? Nearly all our recreational coaches have already undergone a 2-hour coaching education program before they step on the field with their team. Recreational coaches at some of the other clubs do not enjoy this important benefit. Many of our coaches are enrolling in extensive, i.e. 20-hour or 40-hour coaching education programs to enhance their expertise. The club encourages this and pays for this. This does not happen with most other clubs. 9. How many kids does each coach have on their team? For our pre-school and kindergarten teams, we usually have 2 coaches and 8 kids per team. Therefore, the coaching ratio for our pre-K and Kindergarten teams is 4:1 or better for nearly all teams and there are no more than 8 players per team. For other area clubs, the ratio is more like 8:1 to 16:1. In a scenario where 1 coach is trying to coach 8-16 kids, personal attention by a coach is virtually non-existant. For our older teams, we typically have 2 coaches for every 8-10 kids. 10. How long are the three recreational seasons, Winter, Spring and Autumn? The Spring season is 10 weeks in length. The Autumn season is 6 weeks in length. The other local clubs have a 5 week Spring season and a 6 week Autumn season. Our Winter season is typically 6 weeks long. 11. Can my child "play up" if I want them to do so? The "play up" scenario happens when a child is a gifted soccer player who is not particularly challenged by playing with other children their age. Unlike other local clubs we will gladly allow players to "play up" to the level of their ability. However, in instances when we interplay recreationally with the local clubs, we may be required to only play kids with kids their own age. 12. How do you form recreational soccer teams? We generally try to form teams from neighborhoods or schools. That makes practices more convenient. We don't keep the same kids together on the same team every season because we want kids exposed to a variety of coaches and a variety of teammates. We will attempt to honor one mutual friend request. Siblings in the same age category are placed on the same team. Relatives can be placed on the same team. Special circumstances are considered. 13. Do you offer scholarships? Yes and no. Technically, there is no such thing as a "scholarship" since scholarly work does not earn you something in soccer. We have provided subsidies to disadvantaged children and we have worked with the Metro Youth Partnership (MYP) on subsidies. It is for kids in grades K-12 in Fargo and West Fargo so that they can participate in fee-based activities of their choosing. Moorhead does not have a program similar to MYP. We find it difficult to keep up with changes to various programs. Here are the websites of 2 local organizations who may provide a subsidy. For more information on subsidies, contact Matt Noah at either or 701.282.9344. 14. When are recreational soccer practices and games? For spring and fall soccer, practices are usually on weeknights after 5:30 pm. Games are held on weekends in the Fall. Games are held on weekends in the spring before Memorial Day. After Memorial Day, games are on weeknights. For winter, practices are on weeknights while games are on Saturdays. Teams can pick their practice locations, day and times although coaches usually have a big say on the practice schedule. Pre-k and kindergarten teams usually practice 30-45 minutes. Older teams practice 45-60 minutes. All North Dakota and Minnesota soccer players are welcome to join and play in the Fargo Soccer Club. 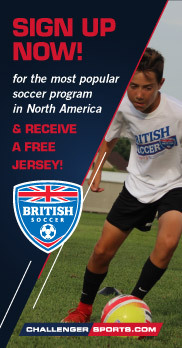 Our multi-affiliate status provides us with "borderless" opportunities for youth soccer players. Our club consists of players from Fargo, West Fargo, Moorhead, Dilworth, Glyndon, Pelican Rapids, Georgetown, Argusville, Mapleton, Oxbow, Horace and the surrounding areas. Full-time and guest players welcome. All practices for all week from Monday, April 15 through Sunday, April 21 are canceled due to field conditions. BAD WEATHER POLICY: Check the website and email for game or practice postponements or cancelations. Practices are made up at the discretion of the head coach. We will play soccer except in these conditions: (1) lightning, (2) heavy rain, (3) snow, (4) extreme winds and (5) extreme cold. March 14, 2016. The NFL admitted for the first time today that a link exists between concussions suffered while playing football and chronic traumatic encephalopathy (CTE); a form of brain disease. He's your son. Why take the chance? Play soccer, run cross-crountry, go swimming. Major League Soccer teams are required to offer youth academies at no cost to the players. However, the extent of the soccer opportunities provided are not equal up and down the MLS. For a snapshot from March 4, 2017, please read the following article. The two closest academies to Fargo are currently the MN Thunder Academy and Shattuck-St. Mary's. Starting the Fall of 2017, MN United will start their own academy. The governing body of soccer in the United States has put forth dramatic changes to various aspects of youth soccer which will start to take place in 2017. Read about all the changes here. Your child's success or lack of success in sports does not indicate what kind of parent you are. Rules Violations at the Tri-City Tournament. 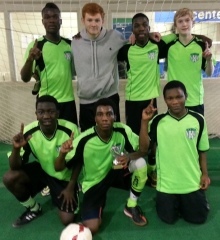 The Fargo SC Buzz high school boys team won the 2014-2015 east region high school indoor regular season and playoff championship, finishing 5-1 in league play and winning both games in the playoffs. Those pictured above are the only boys who could play in the championship game as all the Shanley boys were returning from a school function in D.C. The boys won with 1 sub in the championship game. * Double the number of championships than any other club in the tournament. ** Quadruple the number of championiship than any other club in the tournament. The U10 Boys Griffins went undefeated in Grand Forks, winning each game by a combined score of 20-3. 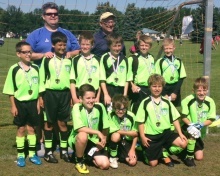 The boys won 3 of 5 tournaments in the summer of 2014, losing only two games. The U17 Girls Fusion went undefeated in Grand Forks, beating TC Storm Black, Jamestown and Bonivital (Winnipeg). The girls won 2 of 4 tournaments in the summer of 2014, also winning the Fargo Tri-City tournament. 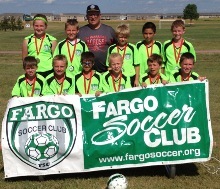 Fargo Soccer Club teams entered 17 tournaments in Summer 2012. We won 9. We finished 2nd 5 times. All 8 other FSC teams competed at U9 and U10 and were ineligible for tournament championships. The U11 Boys Warriors won the Fishback Classic July 8, 2012 in Brookings, SD. The Warriors beat Brookings 10-0, tied Tea (SD) 2-2 and then beat Tri-City U11 Black 3-1. The Warriors advanced to the championship where they beat the Tri-City U11 Black 3-2. The U12 Girls Sheyenne United lost in the championship game in a PK shoot-out. The girls had finished atop pool play in the top U12 girls bracket. 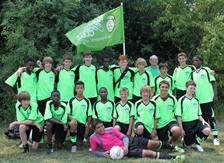 The U14 Boys Snipers finish tied for 2nd in the 2012 US Club Soccer Regionals held in Chicago June 29 - July 1. Lose to Chicago Fire Juniors 3-1. Beat Chicago Magic 6-1 and Chicago Sockers 2-0. Tennessee wins Regional 1-0. The U11 Boys Warriors team claimed the championship in the 10-team U11 Boys bracket with 3 pool play wins and 2 championship bracket wins. The U14 Boys Snipers topped pool play with 2 wins and a tie. They lost in a PK shoot-out in the championship. The U12 Girls Sheyenne United topped pool play wit 2 wins and a tie. The U10 Girls Thunder won all 3 of their games in the tournament. The U11 Boys Warriors won all 5 of their games. The Fargo U14 Boys Snipers won the Classic I (top) bracket championship at the June 1-3, 2012 Tonka Splash tournament with a 2-1 win over Tonka United C-1 Blue in the final game. The Fargo U10 Boys Jedi won 2 games and tied their last game in U10 Maroon (highest) division of the June 1-3, 2012 Tonka Splash. The Fargo U9 Girls Strikers won 2 games and tied their last game in the U9 Maroon (highest) division of the June 1-3, 2012 Tonka Splash. Under-12 Boys Snipers Finish with 3 wins and 2 ties at the 2010 North Dakota State Tournament, Beat Bismarck 6-1 in Championship game. Under-11 Girls Pumas Finish 4-0 at the 2010 North Dakota State Tournament, Beat Red River (Fargo) 3-1 in Championship game. The mission of the Fargo Soccer Club is to be the premier soccer club in North Dakota and western Minnesota while emphasizing enjoyment, participation, sportsmanship, effort and excellence. USSF By Laws 603 & 212.pdf - USSF Bylaws 603 allows organizations to register their players in any association. USSF Policy 212 (participation).pdf - USSF Policy 212-1 allows organizations to participate in multiple USSF organizations. The Fargo Soccer Club has never lost a game at the annual State Championships since we sent our first team to State in 2008.